the short of the question I’m looking for is what clutch is more hectic than what he’s just killed ( NPC twin kevlar race plate clutch kit ) ? I know the S/C 5.0 platform hammers the frisbees hard and “CANFRY” went through many until the latest one that’s hanging on well, but it’s been yonks since I’ve been on Failbook so I can’t remember what he’s running now. Who’s got a clutch that’s taking stupid abuse and living to clamp another day and what is it ? Look up Monster Clutches. 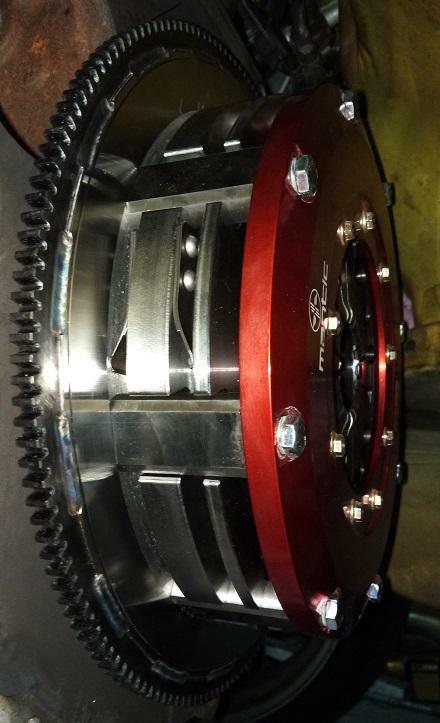 They make a triple plate that can take 1500rwhp and more than likely can make up a custom one to suit your mates car. Cleetus McFarland on yootoob (also featured on the Monster Clutches home page) has a manual corvette drag car running a face plated t56 magnum with a triple plate clutch that has done 300 odd passes at close to and over 1000rwhp with dozens of dyno pulls in the mix. He has just recently run a 7.8 second pass at 176 mph. Edit: Manuals are for tractors and cars that need a push start. well, Bretto's CANFRY is and still runs (as far as I know) a Direct Clutch Services twin plate. Kevlar is supposed to be nicer to drive than ceramic but from what I know needs a higher clamping force to hold. Would be interesting to see if it was a different pressure plate or only the clutch plates that differ in that npc clutch. I drive my ute pretty hard, have not killed the Xtreme twin plate ceramic clutch yet . It's not the easiest clutch to get used to that's for sure but it's nice and cheap. Have gone through 2 axles since I've had the clutch in so its not for lack of trying lol. Worth looking into, I know there are lots of really full on race type kits out there but I found they sacrifice feel and longevity. I think I am too scared to turn of the DSC thingo that shows up on the dash. especially with RE003 at 300 clams a pop. Not much left to go pop on my girl now.. I have had to replace everything in the driveline a couple of times, but upgraded everything with custom built stuff last time around! when you coming to Perth???? Doubt an organic clutch will take stupid abuse. Wouldn't last 30 mins in my hands. Organics are OK for girls cars thought. Except Fluff. Her clutch has balls. So far, it's taken a lot more than the twin ceramic unit I destroyed last month!